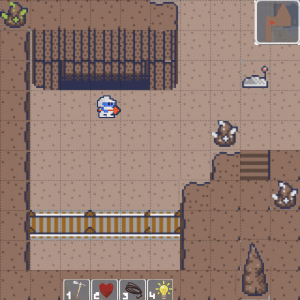 sample level design of a cave exploration game. 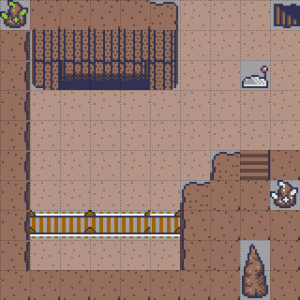 Pretty basic level – the character exits from the opening in the top left and then continues to the stair case at the top right. 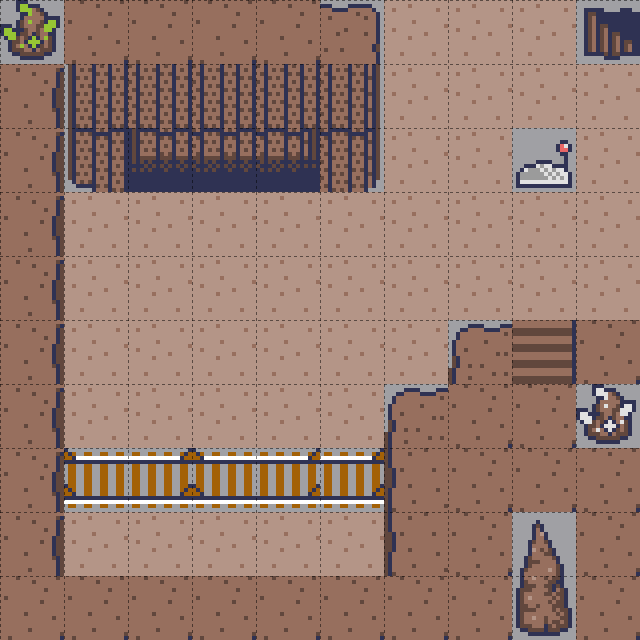 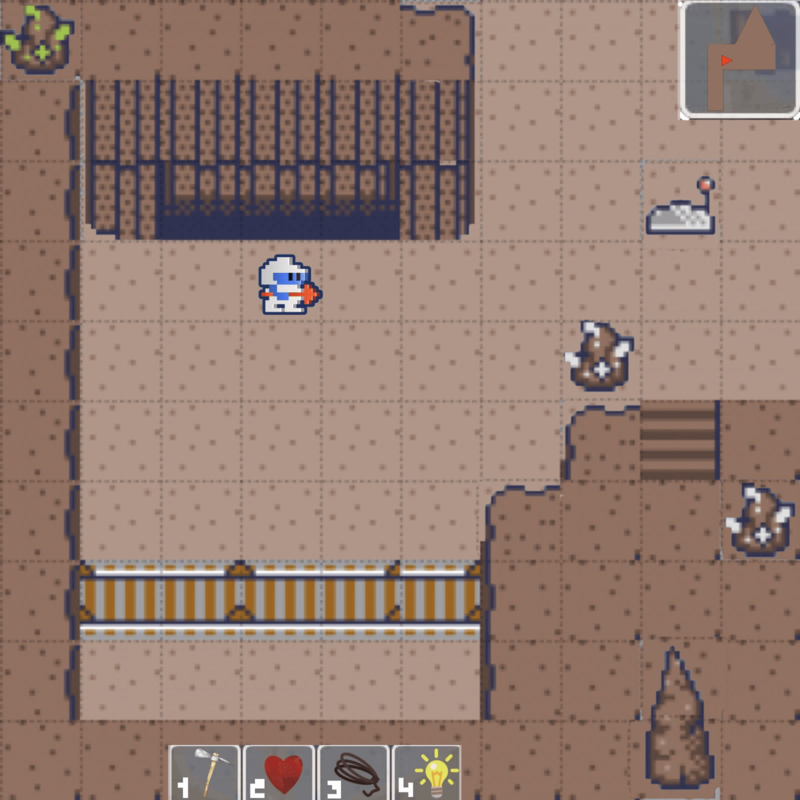 However, the character can choose to climb the ladder and excavate minerals from the rocks and to get to the green rock, must first lower the tracks with the lever.